Remember the “old days” of the internet? 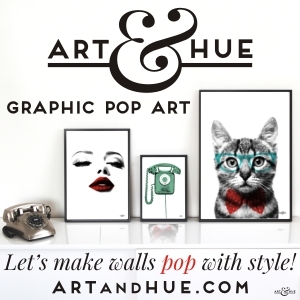 When Fab.com was a members-only site that used to have flash sales of stylish art and design items? It’s hard to belief that time moves so quickly but this was only four years ago (yes! just four years ago! Had to look it up as it feels like a decade) yet I for one was sad to see the original model of Fab change to what it’s become today. There was a genuine excitement at receiving the email outlining the design goods available on that particular day and it was obvious that the team behind the site had carefully spent time finding new and exciting items to tempt us with. 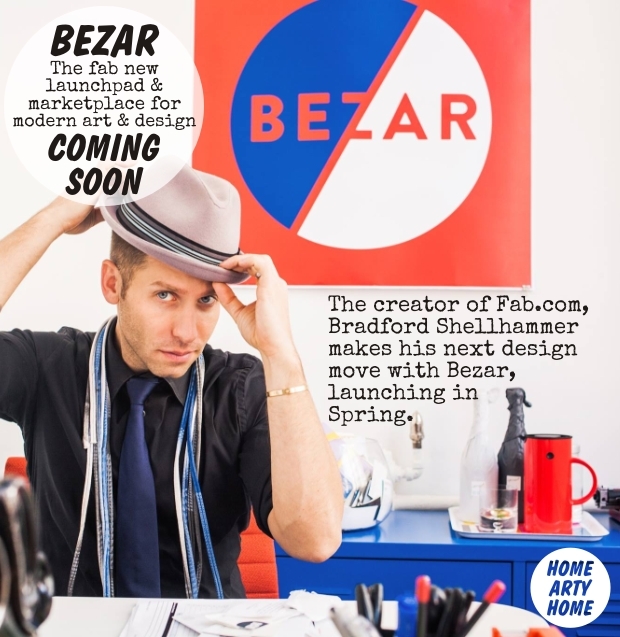 Bradford designed Fab.com which transformed how design is sold, and now he’s aiming to do the same again with Bezar. 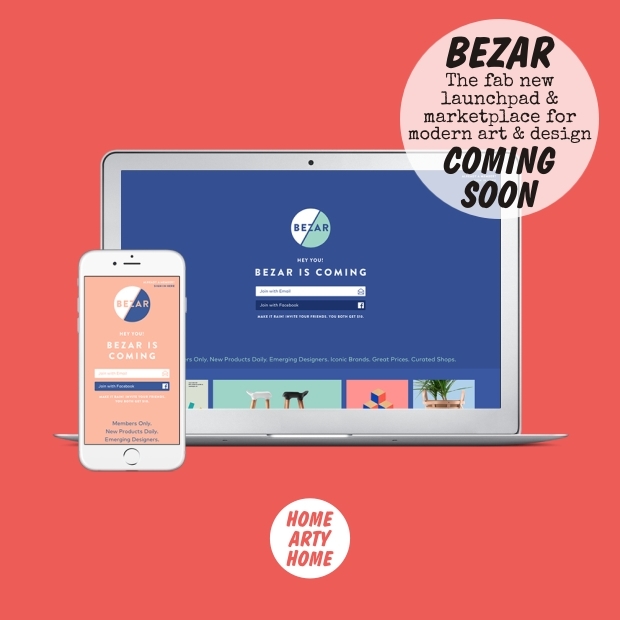 Once the site launches this Spring, there will be a temporary online pop-up Shop every day across four categories featuring a designer in each area, namely art, home, jewellery, and accessories. 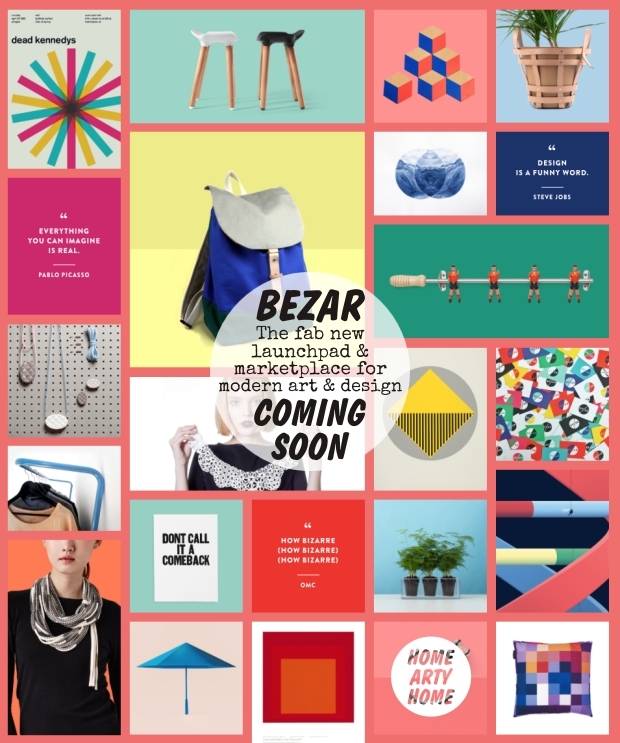 The pop-up shops will typically last three days and feature unique designs across a range of prices, all curated by Bezar’s design scouts, led by Bradford. As well as planning to include established brands who are looking to launch new collections & collaborations, it’s great to see that the emphasis is on providing a launchpad platform for new & emerging artists and designers. 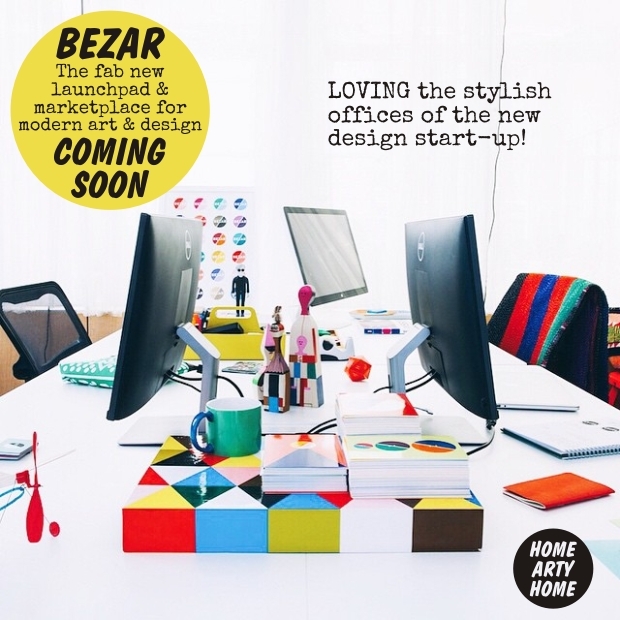 If the fab photos of the Bezar offices are anything to go by, there’s a stylish and fun pop art sensibility at play so look forward to seeing the art and products that will be featured. It’s too early to go shopping just yet but you can sign up to the site to be notified when it goes live, plus you can invite friends to sign up too and in return you and your friend can rack up $10 to your account to spend once the design pop-ups start. 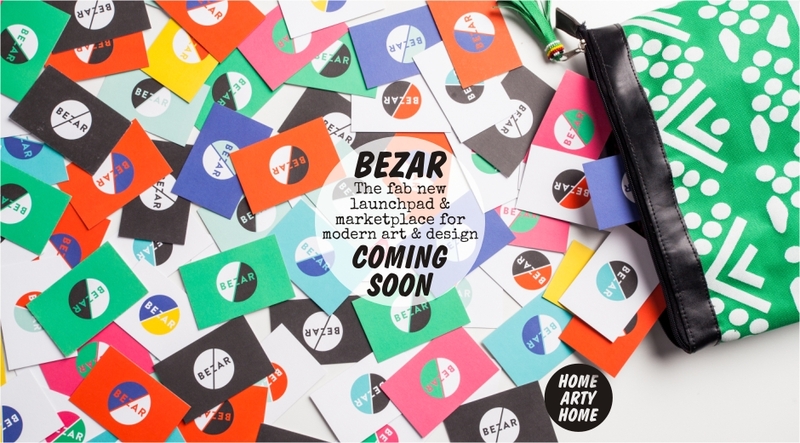 Visit Bezar to sign up.